Water, dust and drop proof blower outed. 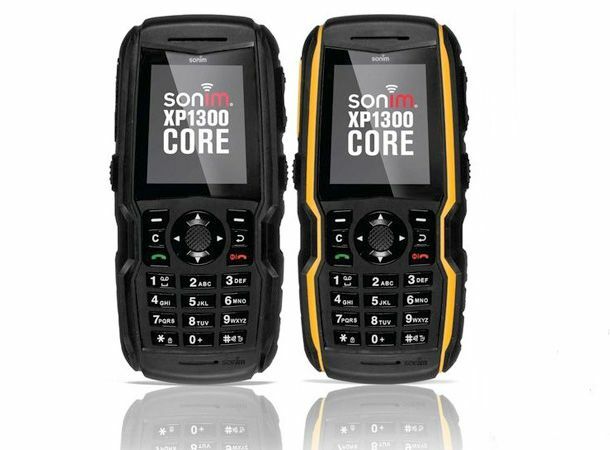 Sonim has just come over all official with its newest hard-as-nails handset, the XP1300 Core. Following on from the awesome JCB and Land Rover phones, this new effort is even more rock solid than its predecessors. The XP1300 has IP68 certification, which means it's completely impervious to dust, making it perfect if you spend your day doused in the stuff while grafting on a building site. It can also be dropped in two metres of water without flinching and can withstand two metre drops onto concrete. Its mobile skills aren't too shabby either, with in-built noise cancellation, a 23mm speaker, video and MP3 smarts and a whacking 18 hours of talk time. Plus it will keep working in temperatures down to -20C and up to a sweltering 55C. The XP1300 is due to land at the start of November, with UK pricing yet to be confirmed. For more, check out our Facebook and Twitter pages.